Kingsford Charcoal is indeed the king of the grill charcoal category, and has been for decades. Unfortunately for the company, however, the growing popularity of gas grills has hurt the business. So rather than try to persuade more owners of charcoal grills to buy its charcoal, Kingsford decided to persuade more people shopping for grills to choose charcoal over gas. Knowing that 47% of grill shoppers conduct online research before making a purchase, Kingsford and agency TPN used paid search and paid media at key online retailers, including Amazon.com, Walmart.com, and Grilling.com, to drive shoppers to landing pages that extolled the virtues of charcoal grills, calling out the superior taste of charcoal-grilled food over gas-grilled, the distinctive aroma, and the social nature of cooking over charcoal. In-store displays at Walmart reiterated the messaging. 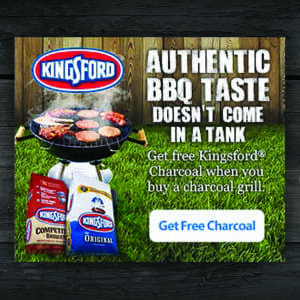 After convincing shoppers to opt for a charcoal grill, Kingsford then had to get its charcoal in their hands. Encouraged by research indicating that 58% of consumers who receive a free sample go on to buy the product they’d sampled, Kingsford used SnippCheck receipt validation technology to ensure that coupons for a free bag of charcoal were sent to qualified consumers: Anyone who bought a charcoal grill at Walmart, Walmart.com, or Amazon.com simply had to photograph their receipt and then text or email it to a short code to receive a coupon. Kingsford was certainly fired up by the results. The campaign led to 2.7 times the number of anticipated charcoal-grill purchases and drove twice the number of expected coupon redemptions. 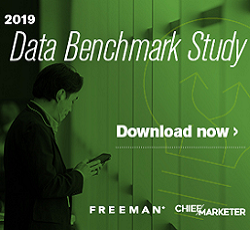 What’s more, in Walmart stores, Kingsford enjoyed a conversion lift of more than 130%.